Mexico City: Ediciones Antorcha, 1983. Paperback. 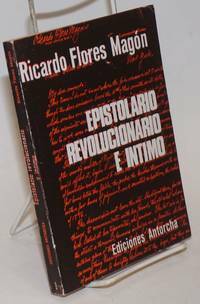 243p., one of 1,000 copies, text in Spanish, pages slightly toned else very good trade paperback in pictorial wraps. Mexico City: Ediciones Antorcha, 1987. Paperback. 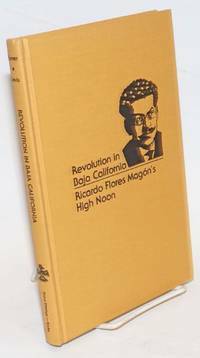 117p., text in Spanish, one of 1,000 copies, very good trade paperback in pictorial blue wraps. Puebla: Universidad Autónoma de Puebla, 1989. Paperback. 462p., one of 1,000 copies, wraps, 5.25 x 8.25 inches, wraps worn, old price stickers on rear wrap (both inside and outside), else very good condition. Text in Spanish. 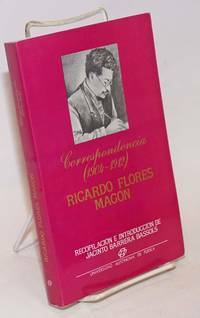 Mexico City: Editores Mexicanos Unidos, 1963. Paperback. 125p., wraps, 6 x 8 inches, wraps worn and soiled, pages toned, price sticker on rear wrap, else good condition. Text in Spanish. Orkney: Cienfuegos Press, 1977. Paperback. 156p., wraps, 5.75 x 8.5 inches, wraps worn and soiled, price sticker on rear wrap, else very good condition. Includes an annotated bibliography. Salt Lake City: author, 1964. Hardcover. 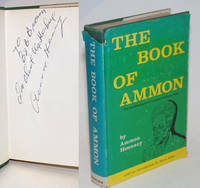 473, [xvii]p., inscribed and signed "To Bob Brown, In Christ the rebel, Ammon Hennacy," illus., edge worn dj heavily chipped at the head of the spine. 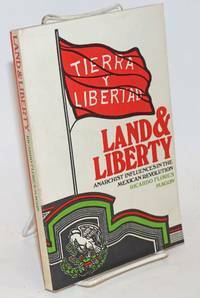 Hennacy, an anarchist, pacifist and non-conforming Roman Catholic, was associate editor of the Catholic Worker from 1953 to 1961. 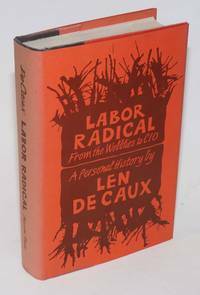 "Reminiscences about the past of an ex-member of the IWW. This revision includes a chapter on the Joe Hill House of Salt Lake City." *Miles 100. [Santa Cruz, CA]: the author, 1975. 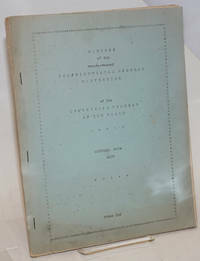 60p., wraps, 8.5x11 inch mimeographed pages in stapled pictorial cover, rear cover detached but present, old price stamp on front wrap else very good cndition. Hand made, issued over the years with a varying page count. 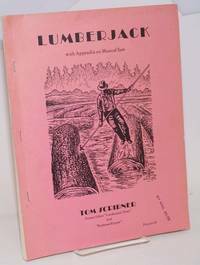 Fifty three years a lumberjack, starting in 1914, the Michigan-born Scribner writes of the IWW, unions and work culture. He was former editor of Lumberjack News and Redwood Ripsaw. 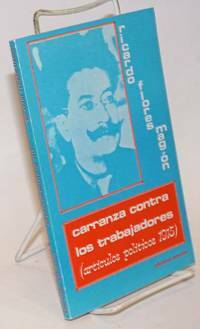 Later he was member of the Communist Party and at the time of publication, Communist Labor Party. New York: Garden City Publishing Co, 1937. Hardcover. x, 422p., ownership name on f.e.p., toning to endpapers, fair later edition, hardcover in blue cloth boards and badly edge-chipped dj. 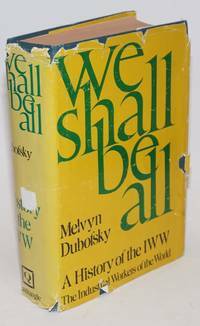 "An eyewitness account of the Seattle strike and other IWW events by a journalist sympathetic to the IWW." *Miles 208. Dublin: Gill & Macmillan Ltd, 1971. Paperback. xiii + 132p., 4.75x7.25 inches, shelfworn wraps, small bump at top by spine, old price sticker on lower back cover, binding intact but invites care, else good. 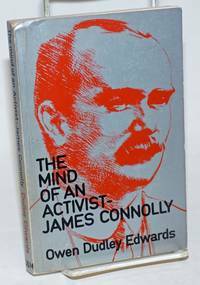 Biography of the Irish Nationalist, Socialist, and one of the founders of the Wobblies (IWW). Boston: Guidance Enterprises, Inc, 1968. 60p., 8.5x11 inches, slick magazine, illus., advertised giant poster is missing, else very good. Despite the title, this was not a magazine about Disco, but about Rock, Folk, R&B, and Jazz. 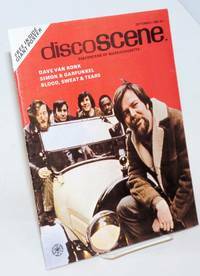 Features a decent interviews with Dave Van Ronk (also on cover) and with the post-Al Kooper Blood Sweat & Tears. Also: short features on Simon & Garfunkel and Buffy Ste. Marie, along with news snippets, band profiles, and random silliness. Magazine seems to be a project of the American Child Guidance Foundation, which has a full-page ad in the issue inviting readers to make appointments with them to consider career opportunities with New England Life, W.T. Grant Co. and Saxon Paper Corp. Groovy! Chicago: Solidarity Bookshop, 1966. Magazine. 20p., wraps with edge wear chipping, wraps browned in margins, IWW Preamble pasted on blank verso of front wrap else good condition, mimeographed, 8.5x11 inches, illus. 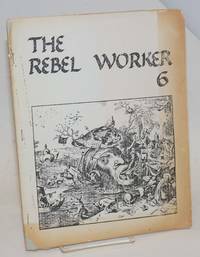 IWW reprint of the London, 1966 issue with new cover, introduction, short piece by Rene Crevel and statement on rear added. Contributions by Charles Radcliffe, Penelope & Franklin Rosemont, Pierre Mabille, Ben Covington, Archie Shepp, Kenneth Patch, Bernard Marszalek and Benjamin Peret. Chicago: Department of Education, Agricultural Workers Industrial Union no. 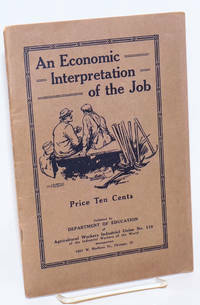 110, IWW, 1922. Pamphlet. 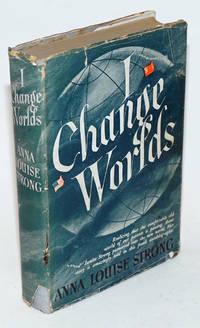 61p., wraps, paper browned else very good condition, first edition, 6x9 inches.. *Miles 4084. Chicago: Industrial Workers of the World, 1936. Pamphlet. 29, 4, 4, 12, 2, 3, 16p., wraps faded and worn, mimeographed, due to mimeograph mishap two pages are blank in the middle of a report but no text is missing (collated with another copy), 8.5x11 inches. First section is minutes, other sections are various reports (Fred Thompson's report, finances, etc) and much on the Herbert Mahler and a dispute over the defense of four Kentucky coal miners. Chicago: Quadrangle Books, 1969. Hardcover. xviii, 557p., illus., first edition cloth boards in dust jacket; top and tail rims of spine (and bottom edge) are quite worn, with fraying. The dj is messily edgeworn with tears and a sticker-scar to spine panel. Textblock however, and hinges, are perfectly sound and clean, with no markings ownership or otherwise. A good (good-only) copy. New York: Workers Library Publishers, 1939. Pamphlet. 48p, 5x7.5 inches, musty, wraps shelf worn and slightly soiled else good condition. *Seidman F138. 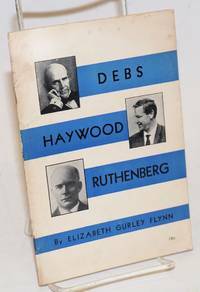 "Biographies by a prominent Party member and veteran radical of three U.S. radical leaders: Eugene V. Debs, perennial presidential candidate of the Socialist Party; William D. Haywood, leader of the Industrial Workers of the Word; and Charles E. Ruthenberg, founder of the CPUSA."-Seidman. 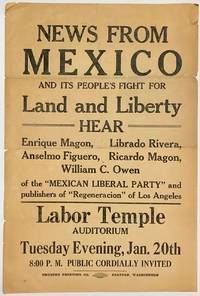 Seattle: Mexican Liberal Party, 1914. Approximately 9x6 inch handbill, three horizontal fold creases, some splitting beginning at the ends of the creases. An announcement for a rally and fundraiser held by the four prominent Mexican anarchists on the day after their release from the prison on McNeil Island. Their comrade (and editor of the English section of their newspaper), the British immigrant anarchist William Owen, had traveled up from Los Angeles to meet them upon their release, and he organized a series of rallies along the route back to their base in Los Angeles. In the Feb. 7, 1914 issue of Regeneracion, Owen reported on the meeting announced in this leaflet, calling the overwhelming reception "ridiculous." 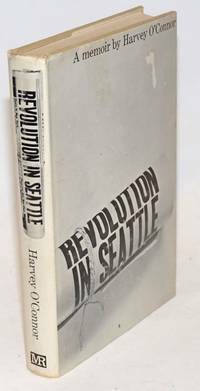 He wrote that "In Seattle we had taken the large hall in Labor Temple, and, after crowding up the seats to the very toes of the speakers, every inch of standing room was occupied my a mass of workers, packed like sardines, who remained patiently until the last word had been spoken. The IWW had marched in procession to the Temple, and many hundreds must have been unable to obtain admission." 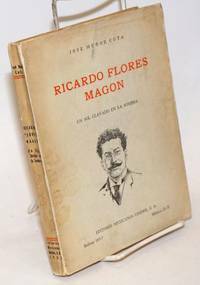 The event raised about $50, a more significant sum in 1914, to continue the publication of Regeneracion. Owen noted in the same report that "The vast majority of our audiences has been pitifully poor in pocket, for times are desperate and the army of the unemployed in constant evidence. ".